Cervontes White, a 5-foot-10-inch, 175-pound wide receiver and defensive back, has accepted a scholarship offer from Southern Utah on the eve of National Signing Day and will sign a national letter of intent Wednesday. 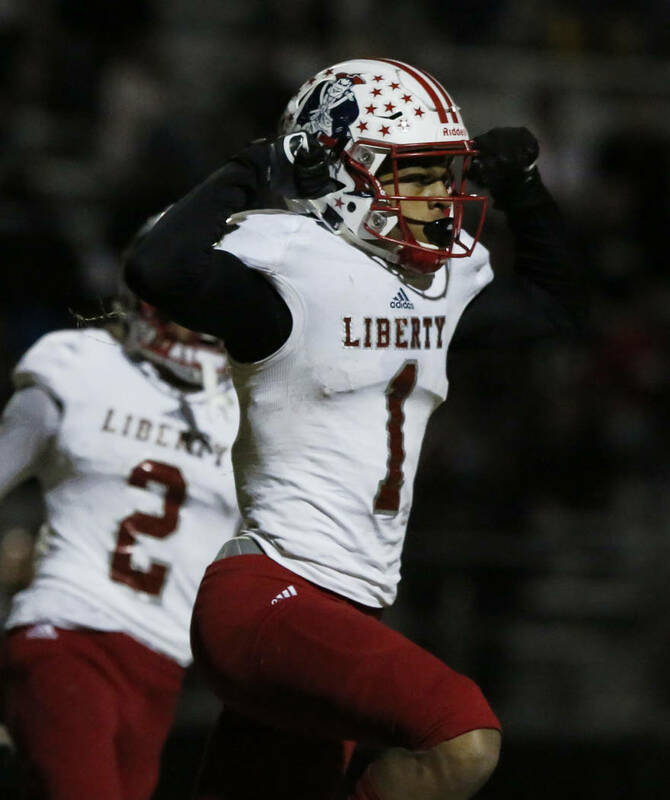 Liberty’s Cervontes White had more scholarship offers to consider on the day before National Signing Day than he did during any point during his senior football season. White, a 5-foot-10-inch, 175-pound wide receiver and defensive back, has accepted a scholarship offer from Southern Utah on the eve of National Signing Day and will sign a national letter of intent Wednesday. White, then at Foothill, attended a camp at Southern Utah during his freshman season and admired the program throughout his high school career. But the Thunderbirds didn’t actively recruit him because they didn’t think they would have a realistic chance of signing him, White said. 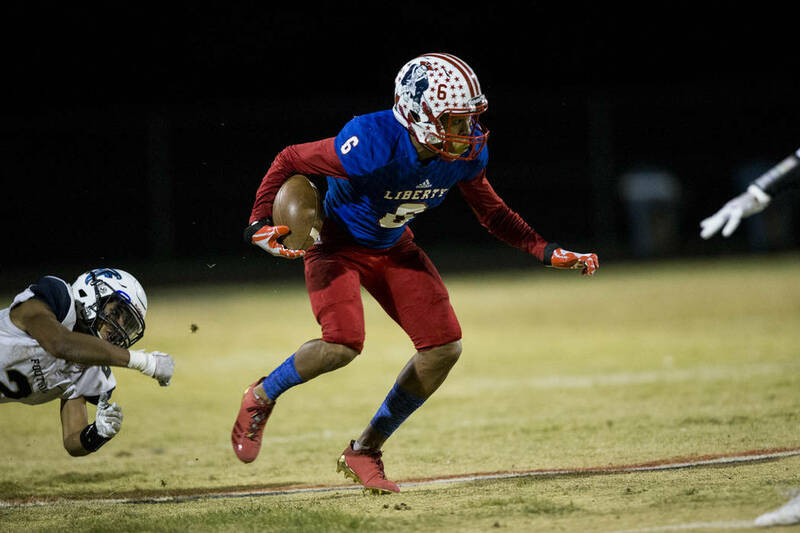 He transferred to Liberty for his sophomore season and emerged for the Patriots as a dynamic player on both sides of the ball. He received scholarship offers from Brigham Young, Utah State and recruiting interest from Boise State the following summer. But those programs slowed their recruitment of White, leaving him devoid of option during his senior season. White said he tried not to think too much about recruiting during the fall and focused instead on the Patriots. 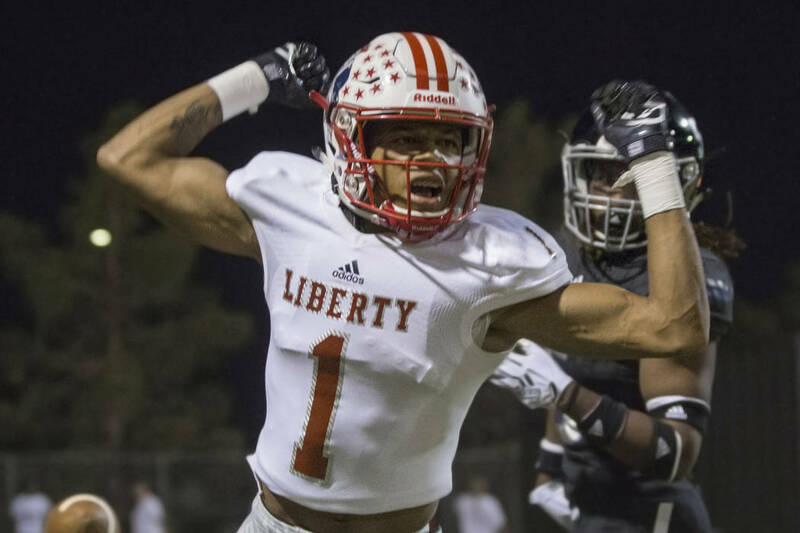 He rekindled his relationship with Southern Utah’s coaches during the offseason and visited the campus last weekend — scoring that elusive offer in the process. As a junior, White was named second team all-state at wide receiver by the Review-Journal.